The first step is to make a time for an initial consultation. It can be anxiety provoking to come to see a therapist or counsellor for the first time, and I understand this. The first session will be an opportunity for you to tell me what is troubling you in a non-judgmental and safe environment. This initial consultation lasts for up to 90 minutes, so that we have enough time to explore what is troubling you, and to discuss the best therapy options for you. This initial consultation will also give you an opportunity to understand how therapy works, to ask questions, and to decide whether you would like to continue with more regular sessions. The initial consultation will be charged at £65 and will be for one 90 minute session or two 50 minute sessions. 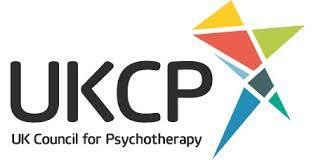 Ongoing therapy fees are £50-£60 per session. I have a limited number of concessionary rate sessions for those on a low income. The ongoing therapy fee will be something we will discuss in the initial consultation. Each session runs for 50 minutes at the same weekly time.